The client identifies a stressful situation or circumstance, and we start with any point on the triangle — whichever is easiest for them. We then identify the interaction between how they felt in the situation, what they were thinking, and how they acted as a result. 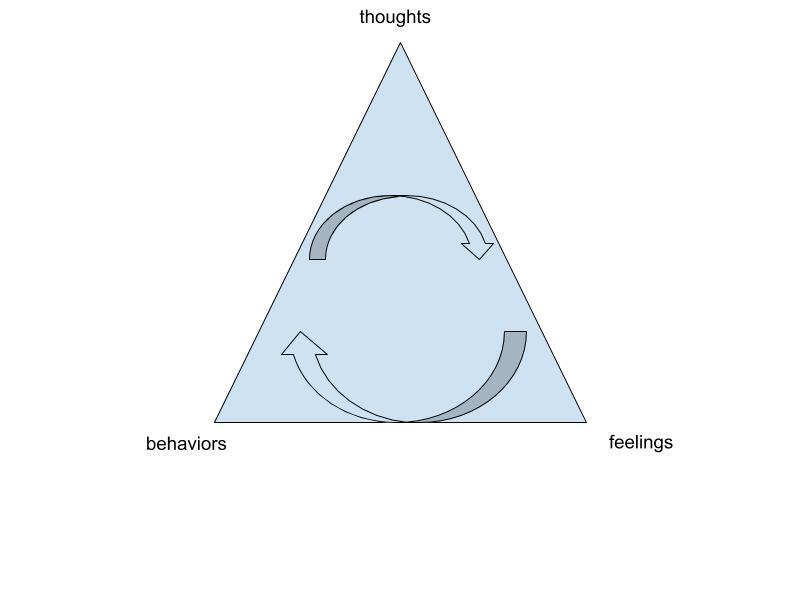 Then, during the course of treatment, clients will develop intervention strategies for each point on the triangle — changing distorted thoughts and learning new ways of flexible thinking, gaining control over their feelings by learning to calming strategies, and developing habits and changing destructive behaviors by replacing them with new ones. How long does this take? It depends on the client. 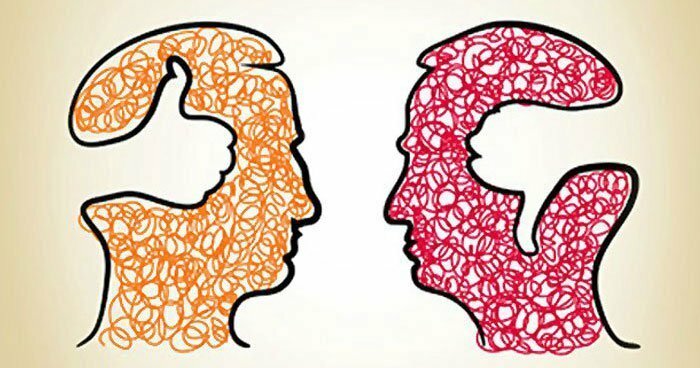 People come to therapy for different reasons and at various levels of “readiness” to make changes. This readiness sometimes impacts the pace of therapy, and whether someone is motivated to work in-between sessions. For motivated individuals who are actively looking to make changes and can easily identify goals, improvements can start to be seen in as early as 2-3 sessions. However lasting change and new habits take time to build. Typically therapy can last somewhere between 15-20 sessions with more frequent weekly meetings at the beginning and then spaced over time to twice a month or monthly. Although this can be costly, many will say the investment in themselves is worthwhile and produces lasting changes over time. Great article! Thanks for putting that together. I wanted to ask you something though… Do you believe that ADHD is an actual disorder? My brother was recently diagnosed and I’m trying to help him out. A really appreciate any advice you can give.